Interesting (men’s) hair cut experience yesterday afternoon for US$10 here in Bavaro, Dominican Republic. Painful is the word. Lots of pain. Like a bad beach massage where the masseuse is just pressing hard in a beat you up kind of way, instead of being helpful. He really pressed the trimmer (with attachment) hard on my head, bent my ears forcefully, poked at my head to get me tilt this way or that. No finesse. I’ve never been so uncomfortable at a haircut. And hygiene? Ha! No sterilizer, and when he dropped his comb near the end, he gave it a little tap (not even a wipe) and went back to work on my head. Really!? And to top it off, he as drinking Chivas Regal (scotch). While working on me. Nice. Whale = ballena = vah-JAY-na!? In Spanish whales are “ballenas” (pronounced ba-YEH-nas in Spain). When we did the whale watching cruise in Samaná, Dominican Republic, earlier this month, with a terrific Canadian marine biologist named Kim leading the boat, it sounded like she said “vajena”. As in vajayjay. – the “s” at the end of the word is dropped in the D.R. Posted on February 16, 2016 Author JTCategories Dominican RepublicLeave a comment on Whale = ballena = vah-JAY-na!? Trying again, lost my text the first time too. 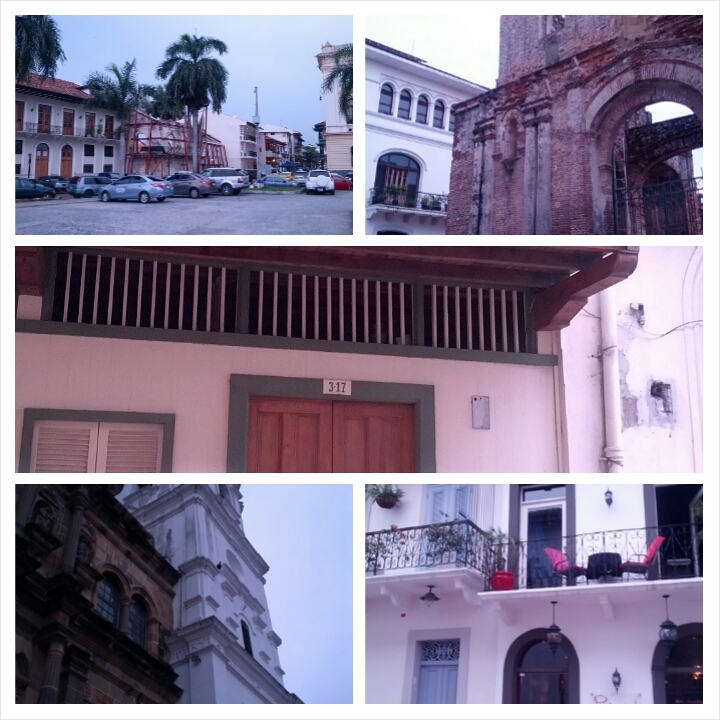 Oldest part of town, reminds me of colonial zone in Santo Domingo, Dominican Republic. Interesting restored colonial buildings, dilapidated ones, empty shells (just walls) and ruins. When the canal was started 100 years ago, i thus was the entire city. Wow are regular headsets useless on a plane! I accidentally packed mine in checked luggage and paid the price. In the plus side I did get upgraded on 5 of 6 legs this trip. 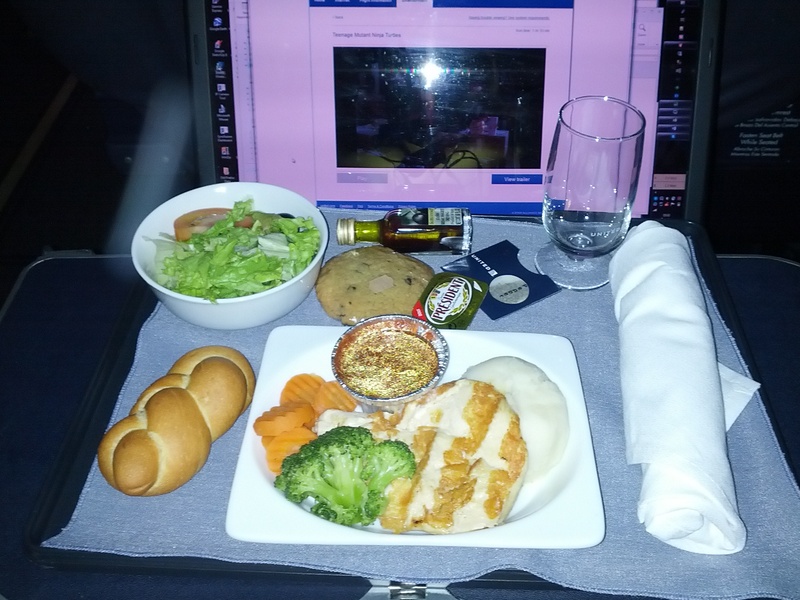 Here is the biz meal from today’s flight to Chicago where I’ll catch up with a friend tonight before continuing to Toronto tomorrow to see my beloved. Posted on April 23, 2014 September 7, 2014 Author JTCategories Dominican Republic, USATags flights, photosLeave a comment on Wow are regular headsets useless on a plane! And I won’t be eating that bread, going gluten free. More on that later. Doc says I can leave the hospital today! Kudos to the great staff at Centro Medico Punta Cana. Posted on November 8, 2012 Author JTCategories Dominican Republic, SingaporeTags sickLeave a comment on Doc says I can leave the hospital today! After a rough weekend in bed with a fever and aches. In the Dominican Republic. Most likely got bit in Singapore based on the incubation period.